The World Federation of Neurology (WFN) and the Department of Neurology of Mohamed V University, Rabat, Morocco are delighted to announce a one-year Visiting Fellow Program on Neurophysiology for African Neurologists. Mohamed V University would like to support the African Initiative of the WFN by inviting an African colleague to participate in a one-year training course on Neurophysiology. 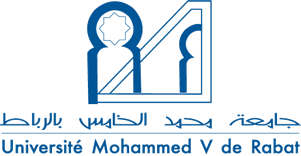 The purpose is to experience the modern Moroccan medical system in an international environment, meet new colleagues and foster future cooperation. The training course in Neurophysiology at the Department of Neurology, Mohamed V University will include Electromyography, Neuropathies, Muscle Diseases and other Neuromuscular disorders. Teaching will be conducted in French. Reimbursement for one economy flight from the Fellow’s country of residence to Rabat and the return journey. Reimbursement of Accommodation for the academic year. A monthly allowance for living expenses (food and beverage) during the academic year. Costs of health insurance and insurance for medical activity during the stay in Morocco (to be arranged by the applicant, the costs will be refunded). Attention: Please note that support is provided for the visiting trainee only, and does not include family or dependents. The WFN is not responsible for financial issues other than related to the project. To apply, applicants must submit their CV, a supporting statement, and a letter of recommendation from their Head of Department by Friday 20th July 2018 to jade@wfneurology.org.